Before the Apple Watch lands next month, ABC News was recently given a behind-the-scenes tour of Apple’s health and fitness lab where company employees secretly tested the device. Interestingly, Jay Blahnik also said that Apple has traveled to a number of climates – like Dubai and Alaska – to test out the watch in different extremes. You can view the complete video here. I’ll be interested to see the entire report. 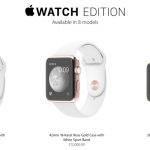 It’s obvious that Apple is counting on the health and fitness features to help sell the watch. And it’s great to see that so much time and energy has been put in the sensors and technology. 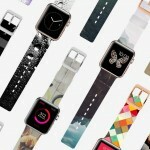 A mid-range Apple Watch collection, with a sapphire display cover and stainless steel exterior, ranges from $549 to $1,049. Apple will also offer a number of other additional bands for the watch. For other recent Apple Watch news, see: Apple Watch bands and adapters appear ahead of launch, Got a spare $10,000? This artist is looking for Apple Watch Edition donations, and As Apple Watch launch looms, Tag Heuer announces its own smartwatch.